“I call it my catharsis” he tells me. 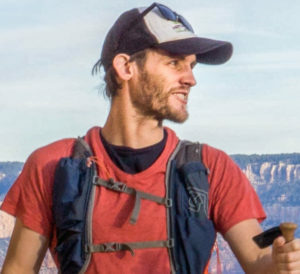 Tito is gesturing to his stomach with clenched fists, describing the feeling that overcame him whilst running the trails of the 8th Natural Wonder of the World. 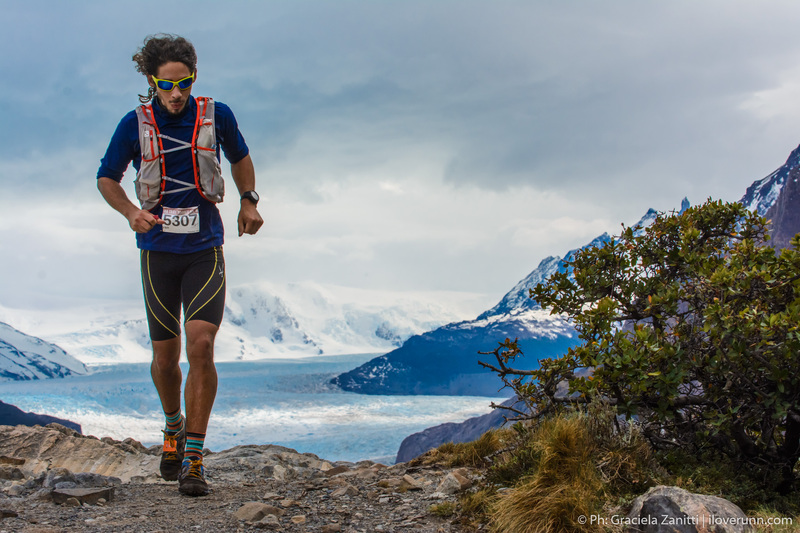 Before Tito even began the Ultra Trail Torres del Paine, he made the odyssey of a journey to its extreme southerly start line. 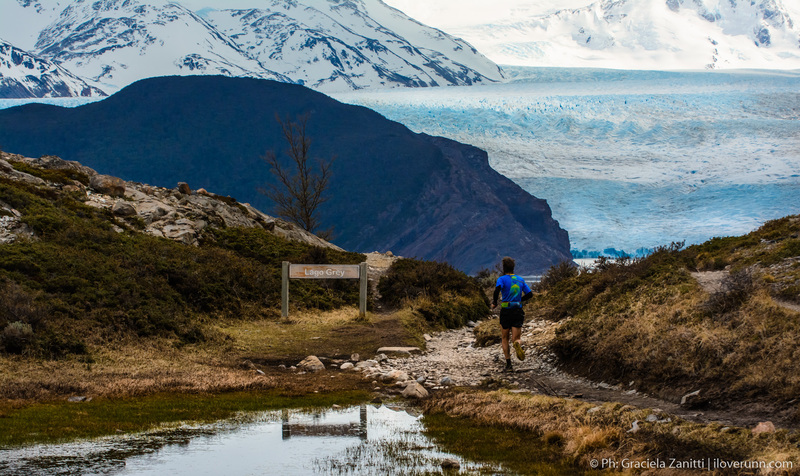 I had arrived the previous weekend for the Patagonian International Marathon road race, gawping as I ran along the shore of Lago Nordenskjöld at the otherworldly mountains across the lake. Now however, I would be thrown inside them. 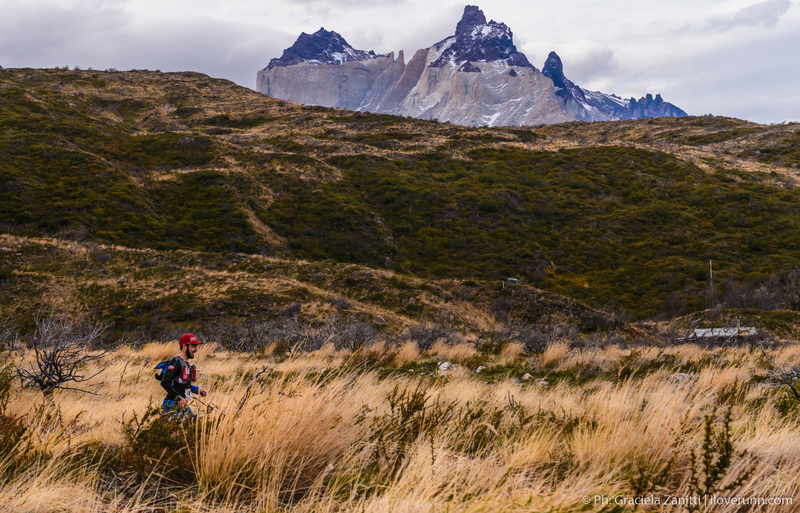 This trail race would explore three southern valleys in the Torres del Paine massif. The 50km journey across glacier-gouged slopes, boulder-strewn gorges and sinuous single-track is known as the “W.” Trekkers come from all over the world to complete the infamous tour, usually taking three to four days. 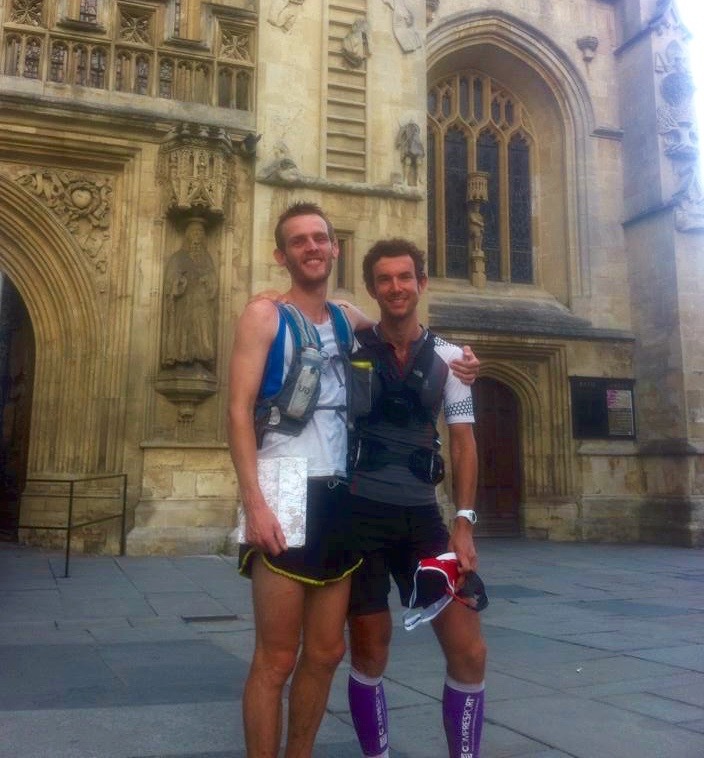 The race organisers allowed just 11hours. The pace was hot and fast from the start-line. The runners around me soon silent with steady breathing, measured movements and private focus. We worked our way into the mountains up a steep escarpment. 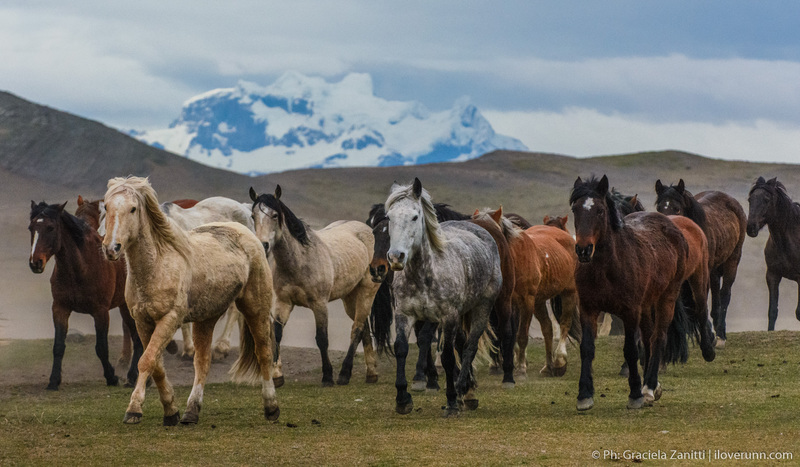 From here a trail cut aggressively across a wide scar of glacial moraine, long since ripped from the mountain, and covered in a softer tissue of grass and grazing horses. We pattered uphill. The Chilean runners: Moises Jimenez and Enzo Ferrari just out in front; the Brazilian, Fernando Nazario on my hip and Bryan Toro from California shadowing behind. Momentarily the Ascencio valley flared wide and open, and then quickly pulled us in, roller coasting us down its river cut flanks of scree towards the water which seemed to rush uphill towards us like the impossible staircase of an Escher drawing. A wooden bridge led into tight deciduous forest and a hopscotch of sidesteps and ducking. Polished trees marked the trail, where burdened backpackers had hauled themselves uphill. Overhead, the Paine towers would make occasional pallid appearances in the low grey light. But mainly concentration was on closer things: tree roots, flashes of blue cotton between branches and the pressing sound of close footfall behind. Three hours in and my eyes were fixed to the ground, tiptoeing carefully across the dry stones of a river. On the other side, there were tracks, fresh and wet. The panicked runner in 2nd place must have spooked straight in, and waded out with leadened feet to begin the long climb into the Valle Francés. Two hours ago Enzo had been moving so swift and nimbly when he pulled away. Now he was being worn down by the mountains; tired from the chase; running lame and leaving telling stains on the dusty trail. I turned steadily north into the second valley; the icy Cuernos del Paine shifting aspect each time I risked a look up. A long climb began and the American was right on my tail, chasing me wretchedly as I clambered over boulders and pedalled leg-sappingly through scree. Deep into the race, focus was now hard and whittled. Sweat ran into my eyes; the mountains momentarily washed away. Then back again. Hands pumping on my knees. Testing one another to the edge of exhaustion; grating ourselves against the mountains. Alexis, a Chilean journalist, came and trained with some of the runners in the build up to the race. The summit we set out for was much further than expected. As Alexis stumbled up through the snow and birch forest with the pitio birds whistling in the undergrowth, he began to cry. Big boys aren’t supposed to cry. Especially macho Chilean ones. But it’s surprising how the mountains break you down. As Moises Jimenez explained to me after the race: being out in wild and unexplored places is an emotional experience that can provoke tears. These are not tears of self pity or sadness however. They are an expression of a deep seated relationship with nature and with life. The emotion, he explained, is almost unbelievable. It’s directed at something and not someone. But the name for it is clearly Love. At around the marathon distance mark, the UTTP makes its third and final climb, weaving up into the Grey Valley. If you study the course profile, you’ll know this last climb is demandingly runnable and if you stop to walk, you are going to get overtaken. The “W” however has been grinding your muscles with its steep technical trails for the last 40k and the rush of beauty and hardship you have been swilling around in has become a disorientating fog. Enzo was just ahead now, making one last frenzied dash and Bryan Toro had already leapfrogged past to reel him in. At the first kicker in the terrain they both stopped to walk. Enzo was bleeding at the knee after a fall and Bryan didn’t seem to respond this time like he had before. I grimaced past, hoping to appear to be running strong. 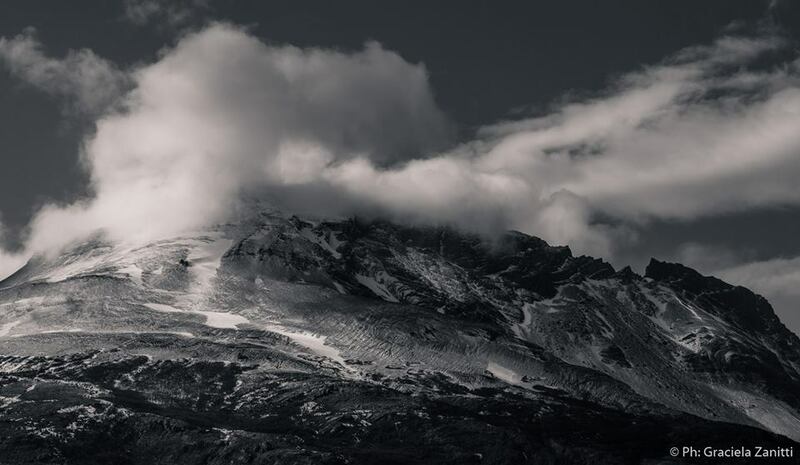 The landscape roared open again: Lake Grey below with discarded icebergs fading slowly, and then higher still – the first sight of Glacier Grey – a long lick of millennial ice, attached to the mountain swallowing throat of the Hielo Sur ice pack. I ran on in a craze of ambition and effort, punctuated by cramps in my feet and choked by lumps in my throat that I would wash clear with intermittent deep groans of pain and satisfaction. The final turn around point was on an isolated rocky outcrop on the glacier’s edge. As you approached, there was a cool sucking of air that dragged you towards it: the ice pack creating its own wind, pulling the life out of the air and into its interminable crevasses. Standing over the great precipice, it was here that Tito would have his catharsis. “Oh God” he would say, as the feeling overtook him. 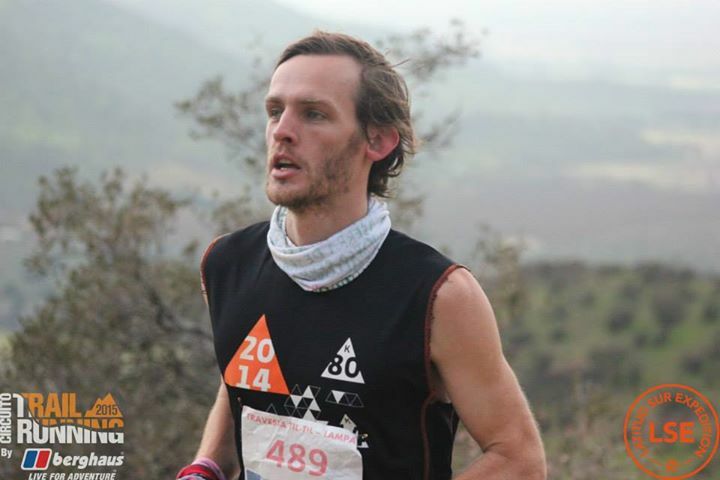 I crossed the finish near the shore of Lago Pehoé in 2nd place, after 5 hours and 46 minutes on the trail. Moises Jimenez had been waiting more than 20 minutes and embraced me tightly with the same inimitable passion he had flowed past me with, every time we crossed paths in the three valleys. Bryan and Enzo arrived safely shortly afterwards. As the afternoon wore on, the news of a tragedy sifted slowly amongst the runners. 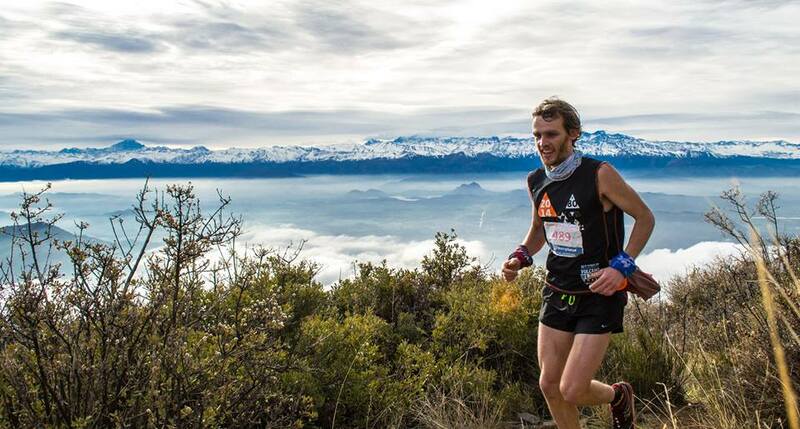 A 24 year old runner, Jonatan Canto from Argentina, had died in the Valle Francés. It is suspected that he suffered a sudden and fatal heart attack. Beneath the Cuernos del Paine towers, a minute of silence was held in respect. A boat then arrived across the still lake. 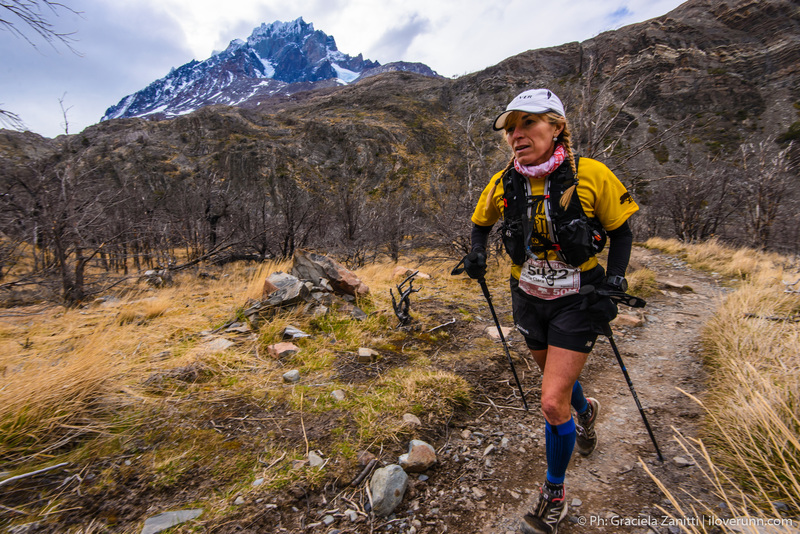 The runners were ferried solemnly over Lago Pehoé in full sight of the mountains they had come down from. The majesty of landscape Jonatan died in would never make his death more consolable. In being part of it however – where you can cry and fall in love – at least we can be sure he had lived. “Yo le llamo catarsis” me dice. Tito esta apuntando a su estómago, describiendo la sensación que lo inundó cuando estaba corriendo en los senderos de la octava maravilla del mundo. 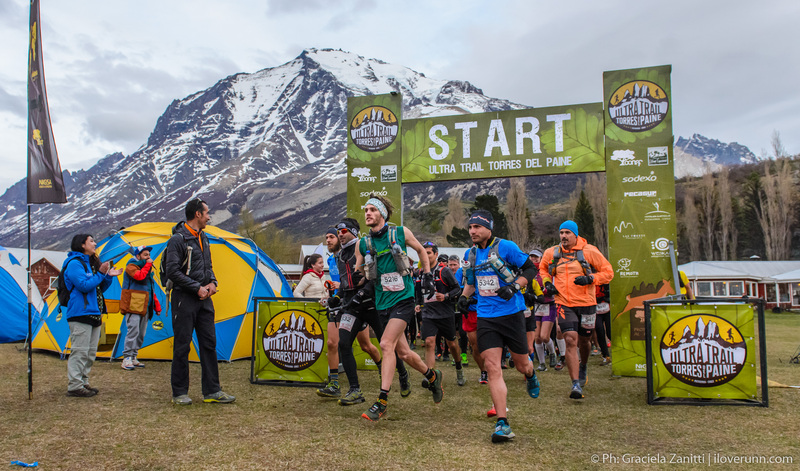 Incluso antes de que Tito empezara la Ultra Trail Torres del Paine, el se embarco en una odisea hasta la largada, en el extremo sur del mundo. 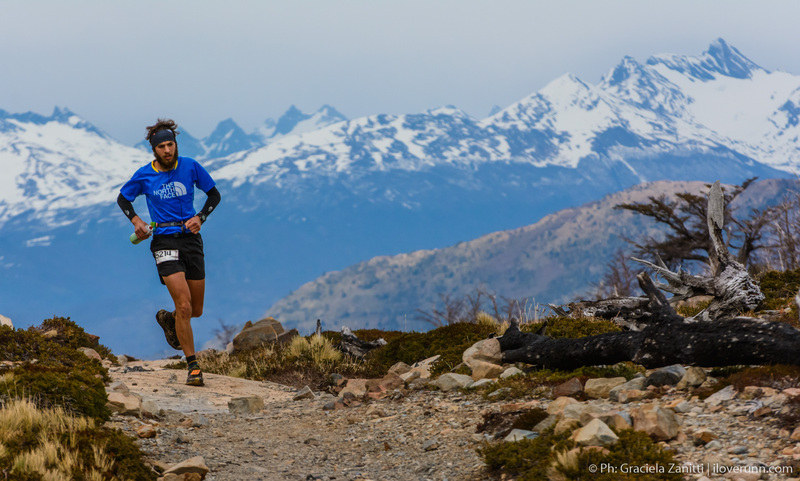 Yo había llegado el fin de semana pasado para la carrera en ruta – Patagonian International Marathon – donde quedé embobado con las montañas al otro lado del lago. Sin embargo ahora, sería lanzado dentro estas. La carrera de trail running exploraría tres valles en el macizo austral de Torres del Paine. El viaje de 50km a lo largo de pendientes talladas por glaciares, barrancos peñascosos y single-track sinuoso es conocido como la “W.” Mochileros vienen de todas partes del mundo para hacer este trekking famoso, normalmente cumpliéndolo en tres o cuanto días. La organización permitiría solamente 11 horas. Desde el comienzo el ritmo fue rápido y agresivo. Los runners a mi alrededor de pronto en silencio, moviéndose al son de su respiración, de manera calculada y observando su foco interno. Nos adentramos a las montañas por una escarpa empinada. Desde ahí un sendero atraviesa el glaciar como una cicatriz que hace mucho tiempo fue rasgada de la montaña, y que ahora esta cubierto con un tejido mas suave de césped y caballos pastoreando. Tamborileamos hacia arriba. Los chilenos: Moises Jimenez y Enzo Ferrari justo enfrente mio; el brasilero, Fernando Nazario al lado y Bryan Toro de California persiguiéndonos. Momentáneamente el Valle Asencio se mostró en todo su esplendor y rápidamente nos llevo adentro, tirándonos hacia abajo como un caro de una montaña rusa, mientras que el rio aparecía subir hacia nosotros como el dibujo de una escalera imposible de Escher. Un puente de madera nos metió por un bosque caducifolio y por un sendero donde esquivé y evadí y me agaché como un juego de rayuela. Arboles de cortezas pulidas por excursionistas que se han sostenido de ellos, marcaron el senderito. Sobre nosotros, Las Torres aparecieron en algunas ocasiones pero generalmente mi concentración estaba en las cosas mas cercanas: raíces, flashes de algodón azul entre los árboles y el sonido de pasos acelerado detrás mío. La elección de correr, en lugar de caminar, significa que el estímulo del mundo exterior queda disminuido. El sonido de una avalancha, ahogado por el chapoteo de botellas de agua. El juego del viento sobre los altos riscos, remplazada por la lucha de los pasos y la respiración. Sin embargo, no es una experiencia menor. Correr 50 kilómetros en las montañas requiere del control de tus esfuerzos, centrándolas en las necesidades del presente absoluto. Las emociones vuelven a ti. Podría decirse que es una forma de meditación. Las lecciones están en la paciencia, perseverancia y el propósito. Cuando despegas la mirada de lo cercano y contemplas la naturaleza, no te sientes un “visitante,” como dijo Moisés Jiménez, quien lideró la carrera, pero “parte” de ella. En la tercera hora mis ojos estaban fijos mirando al suelo, y yo cruzando en puntillas el roquerío seco del lecho de un río. Al otro lado habían huellas frescas y húmedas. El corredor apanicado en segundo lugar se debe haber asustado; cayó al agua, y salió vadeando con los pies pesados para comenzar el el largo asenso hacia Valle Francés. Hacía dos horas Enzo se movía tan rápida y ágilmente que dejaba al grupo atrás. Ahora, las montañas lo estaban desgastando, dejándolo cansado de la persecución, y dejando manchas reveladoras en el camino polvoriento. Me dirigí cada vez mas al norte entrando al segundo valle; el hielo de los Cuernos del Paine cambiando de perspectiva cada vez que me arriesgaba a mirar hacia arriba. Comenzo un largo asenso y el Americano me seguía muy de cerca, persiguiéndome incesantemente mientras yo trepaba rocas y pedaleaba inútilmente a través del pedregal. 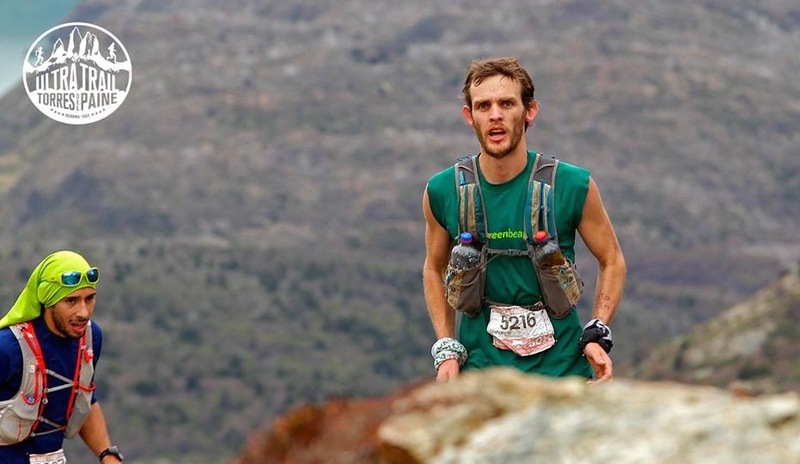 Ahora, en el medio de la carrera, estaba inmerso en ella: el sudor me caía por los ojos; las montañas momentáneamente desaparecían, y luego volvían a verse. Empujando las rodillas hacia abajo con las manos, poniéndonos uno al otro a prueba hasta llegar al borde del agotamiento, desgastándonos en contra de la montaña. A medida que avanzábamos hacia la linea de nieve, un picor caliente molestaba mis ojos otra vez, pero esta vez no era sudor. Lo sentía crecer detrás de mis ojos, listo para reventar. Alexis, un periodista chileno, vino y entrenó con algunos de los corredores antes de competir el fin de semana. La cima que queríamos llegar estaba más lejos de lo esperado. Mientras Alexis tropezaba entre la nieve en el bosque de abedules, adornado con el silbido del pajaro Pitio sonando de fondo, comenzó a llorar. Se supone que los tipos grande no lloran. Especialmente el macho chileno. Pero es sorprendente como las montañas te pueden emocionar. Como Moisés Jiménez me explicaba después de la carrera: estar en un lugar no explorado y salvaje es una experiencia emocional que puede provocar lagrimas. Estas no son lagrimas de tristeza o autocompasión. Son una expresión de una profunda relación con la naturaleza y la vida. La emoción, él explica, es casi increíble. Está dirigido a algo y no a alguien. El nombre para ésto es claramente Amor. Cerca de la distancia de una maratón, la UTTP presenta su tercera y última subida que va hacia el Valle Grey. Si analizas el perfil de la carrera, te darás cuenta que esta última subida es corrible y, que si te detienes para caminar, vas a quedar atrás. Sin embargo, la W ha dejado tus músculos agotados en los últimos 40K, con sus senderos técnicos y empinados y su avalancha de belleza y dificultad por la que has atravesado se convierte en una neblina desorientadora. En este instante Enzo estaba adelantado, haciendo una última frenética corrida y Bryan Toro ya me había adelantado y iba tras Enzo. En la primera subida empinada, ambos se detuvieron para caminar. Enzo tenía una rodilla sangrando luego de una caída y Bryan parecía no responder de la misma forma que lo había hecho antes. Pasé al lado de ellos, intentando simular que estaba corriendo con fuerza. El paisaje se abrió nuevamente: abajo, el lago Grey con sus icebergs consumiéndose lentamente, y luego, en las alturas, la primera vista del Glaciar Grey, un lengüetazo de hielo milenario, emergiendo desde la garganta de Los Campos de Hielo Sur. Corrí con una mezcla de ambición y esfuerzo, acompañado por calambres en mis pies y nudos en la garganta, que iba a limpiando con intermitentes y profundos gemidos de dolor y satisfacción. El ultimo punto de retorno de la “W” estaba en un lugar aislado y peñascoso, cerca del borde del glaciar. Cuando te acercabas, sentías que el aire frío te succionaba hacia el: el hielo tan frío e inmenso creaba su propio viento y absorbía la vida desde el aire y hacia sus cavernas interminables. Parado encima de este precipicio, fue donde Tito tendría su catarsis. “O Dios” diría él, cuando la sensación lo sobresaltó. Después de 5 horas y 46 minutos, crucé la meta al lado de la orilla del Lago Pehoé quedando en segundo lugar. Moises Jimenez me estuvo esperando más de 20 minutos y me abrazó fuerte, con la misma inimitable pasión con la que había seguido mi paso cada vez que cruzábamos caminos en los tres valles. Bryan y Enzo llegaban a salvo justo después de mí. Mientras la tarde avanzaba, la noticia sobre una tragedia se filtraba despacio entre los corredores. Un corredor de 24 años, Jonatan Canto de Argentina, había muerto en el Valle Francés. Se sospechaba que sufrió un repentino ataque al corazón. Bajo las torres de Cuernos del Paine, se guardó un minuto de silencio con respeto. Entonces, a través de las tranquilas aguas del lago, llegó un barco. Los corredores balsearon solemnemente sobre el Lago Pehoé con vista completa de las montañas de las que habían bajado. La majestuosidad del paisaje donde Jonatan murió nunca daría consuelo a su muerte. Aunque, haber sido parte de ello – donde puedes llorar y enamorarte – al menos podemos estar seguros que vivió. 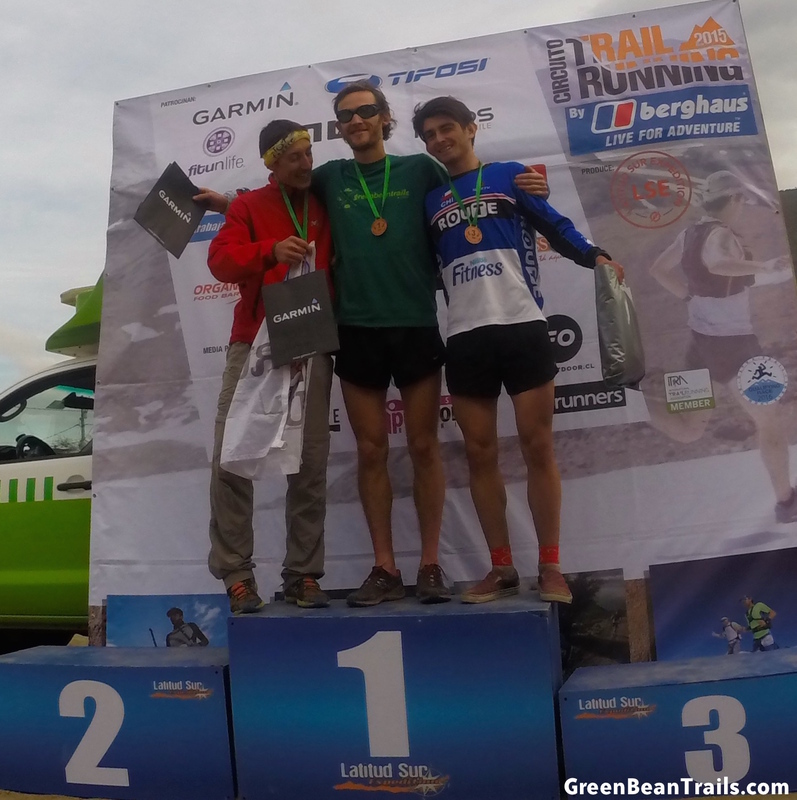 Tuve una experiencia maravillosa y durísima en las montañas este fin de semana, representando mi marca GreenBeanTrails. Fue gracias a Latitud Sur‪ y su edición mas recien de su calendario – Traversia Til-Til Lampa. Pasamos por un paisaje sublime con robles de oro y valles desconocidos y verdosos. Mientras que el resto del mundo se esta volviendo loco por los kms verticales, nosotros acá en Chile estamos piolamente subiendo 1.7km verticales en los primeros 7.5kms de una carrera….y así estamos empezando no mas porque en total esta imponente carrera es casi una maraton de largo y tiene casi 3,000m ganados. Impresionante para este chico Inglés – quien hace un año atrás tenia una cumbre de 200m para entrenar. Muchas gracias a Pablo Garrido y su equipo por organizar un evento tan bueno de nuevo, y con tanto buena onda y compañía. Agradezco a Matias Bull de Trail Chile‬ por mantener a todos informados y a Max Keith también – el fotógrafo quien saco fotos alucinante. Todo necesitan a estos chicos en sus eventos.